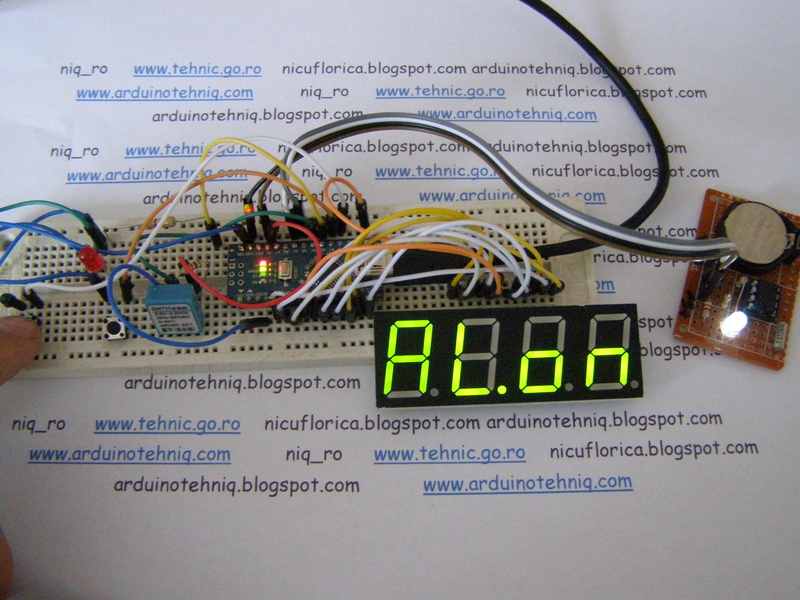 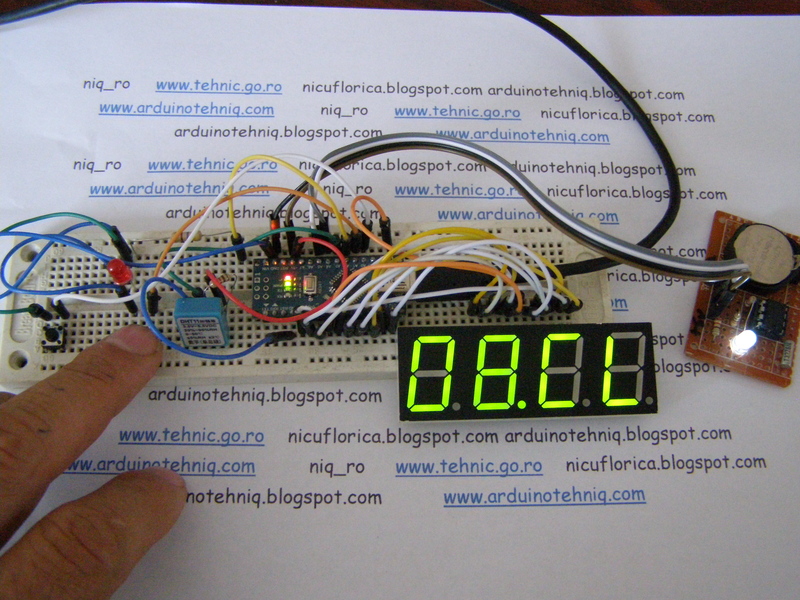 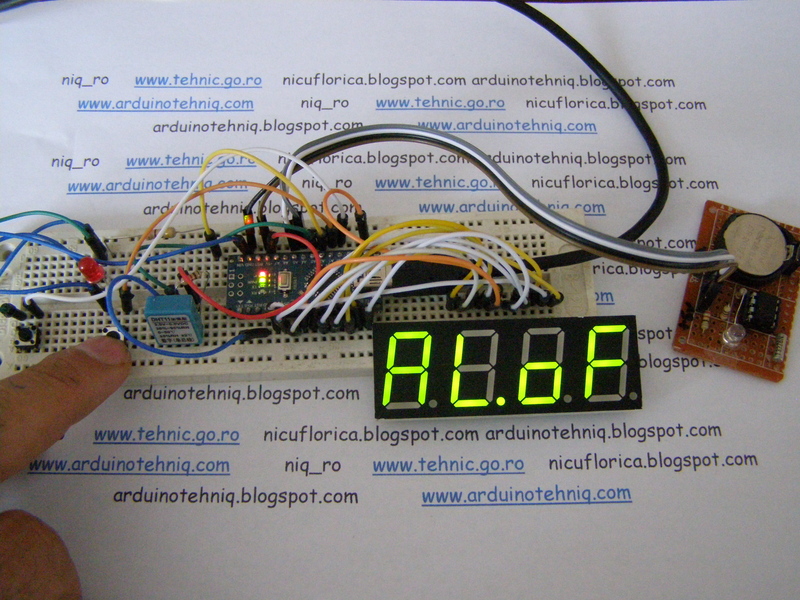 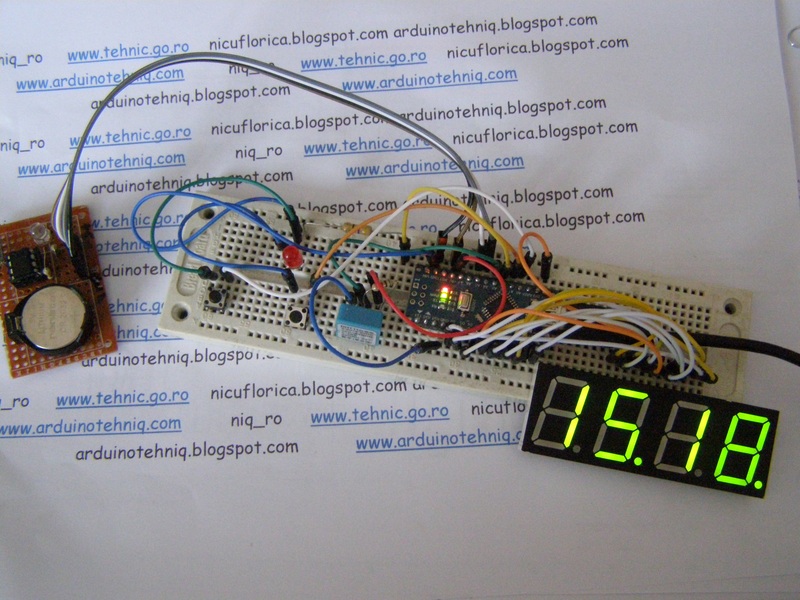 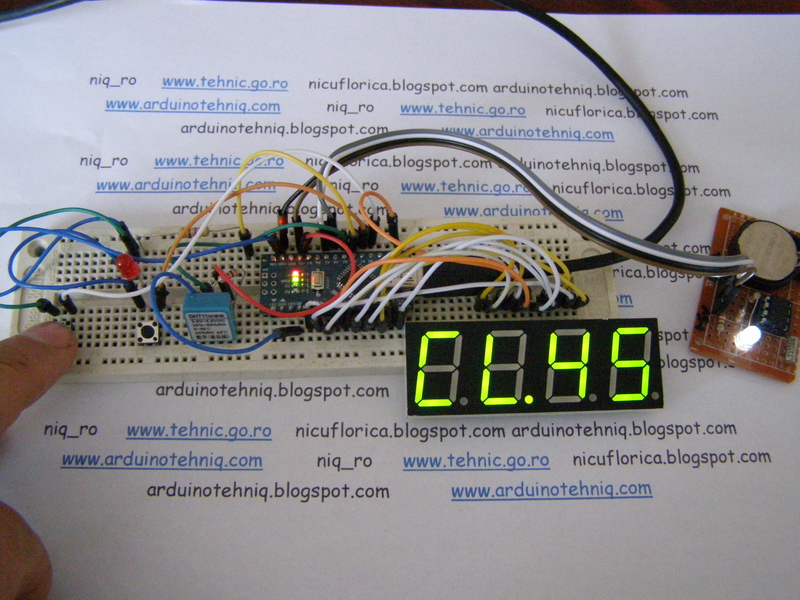 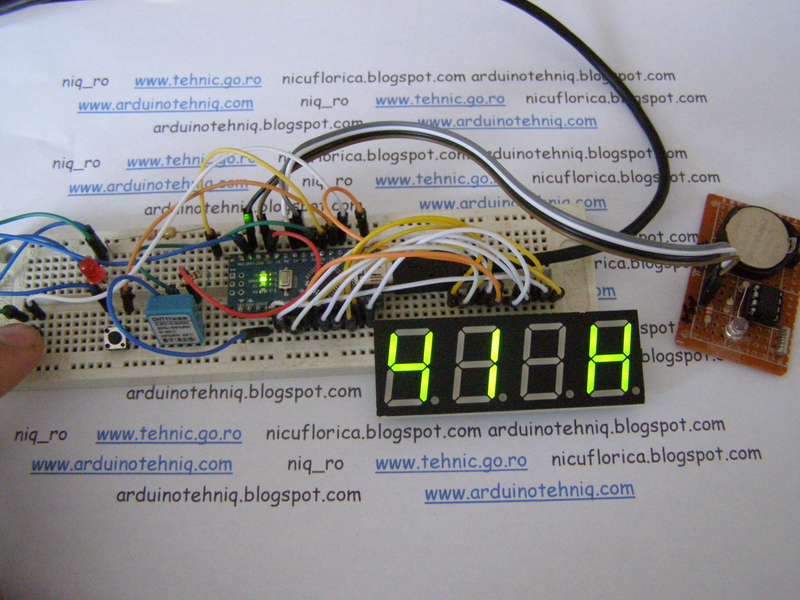 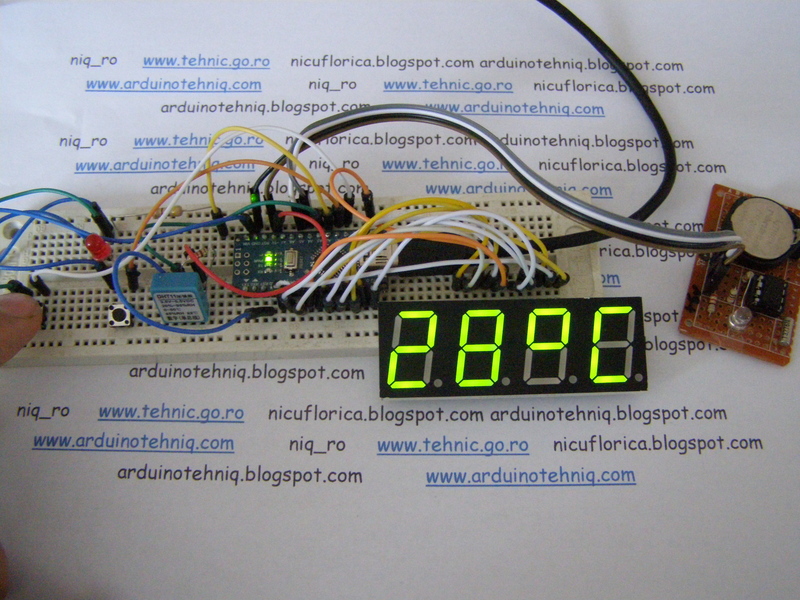 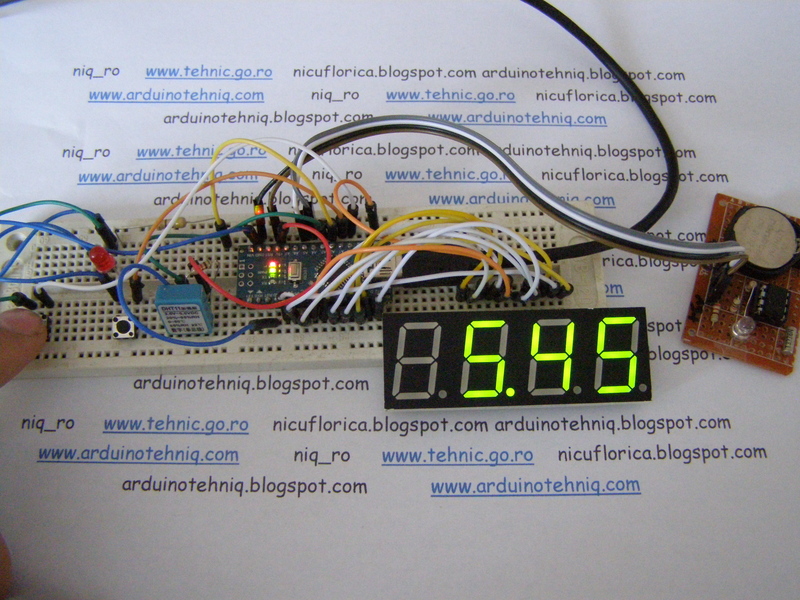 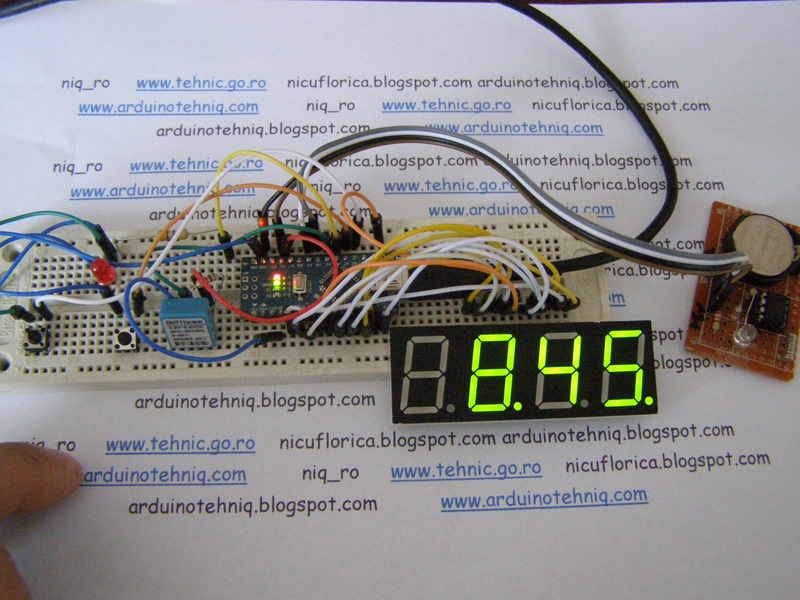 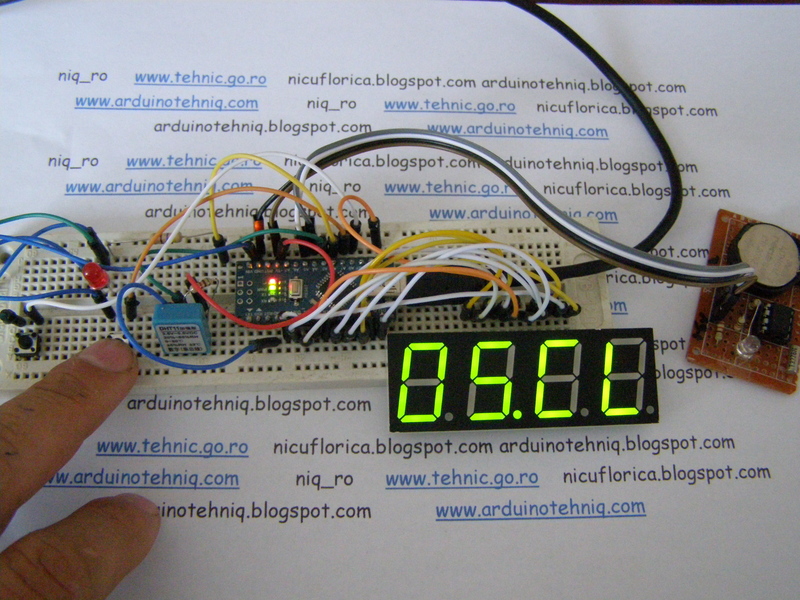 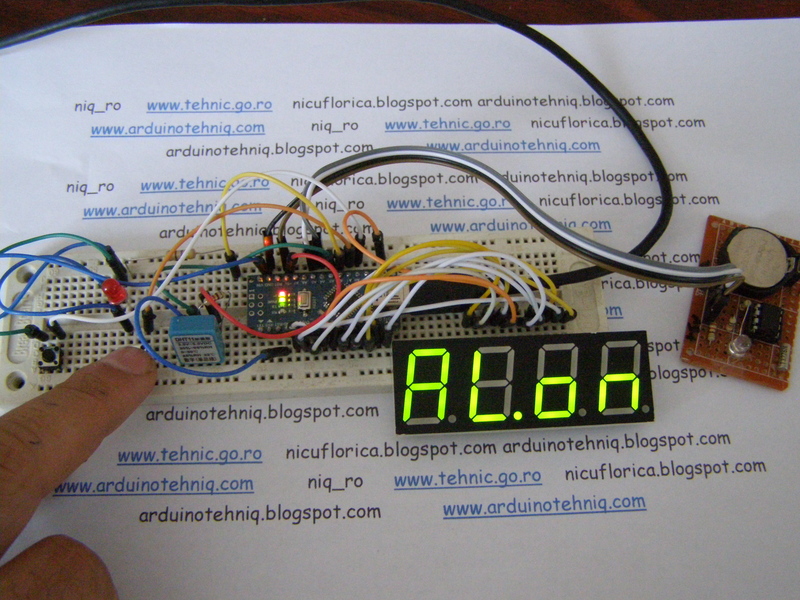 RTC clock with manual adjust & alarm, thermometer & higrometer using Arduino – "Arduino tehNiq"
With Arduino board (cheap in this case Nano with ATmega168 chip) you cam made a clock with alarm and with indication about temperature and relative humidity in air. 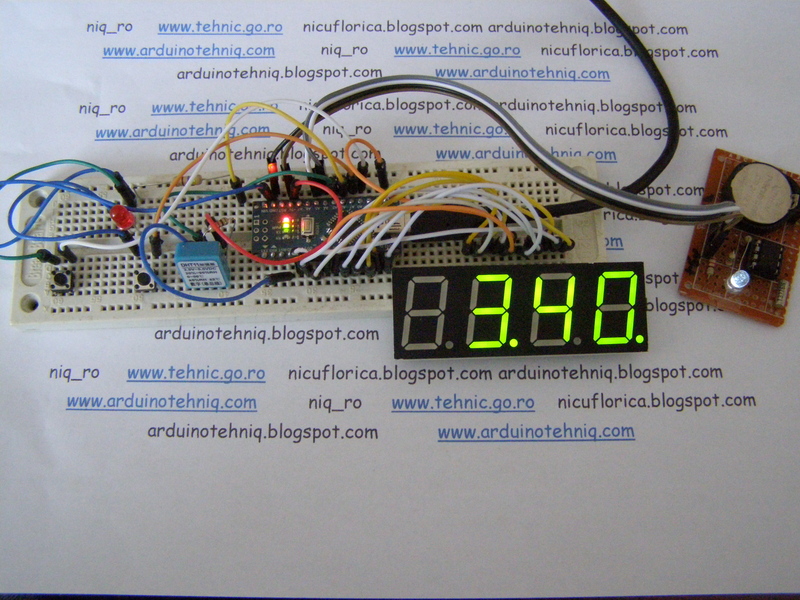 For RTC clock I use DS1307 homemade module, but works without changes with DS3231 module. 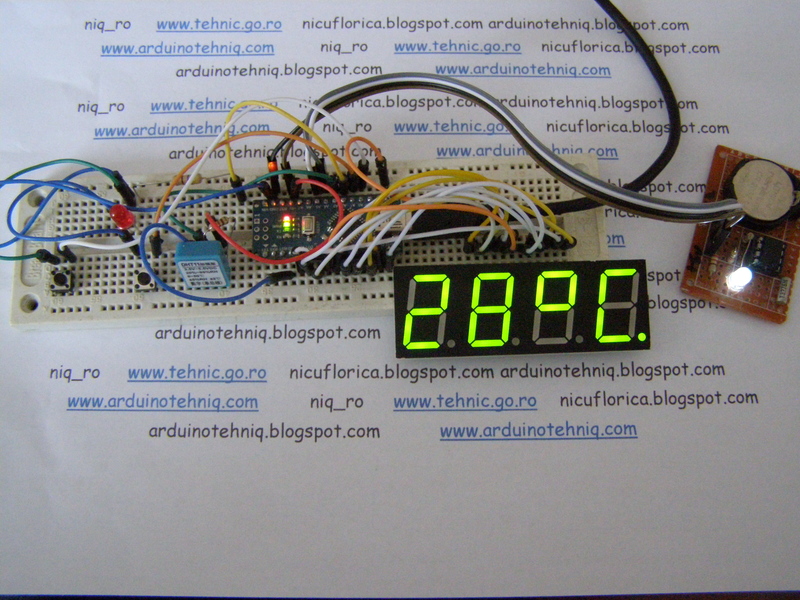 For thermometer and higrometer it use DHT11 sensor, but with a small change in sketch can be use DHT22 (AM2302) sensor. 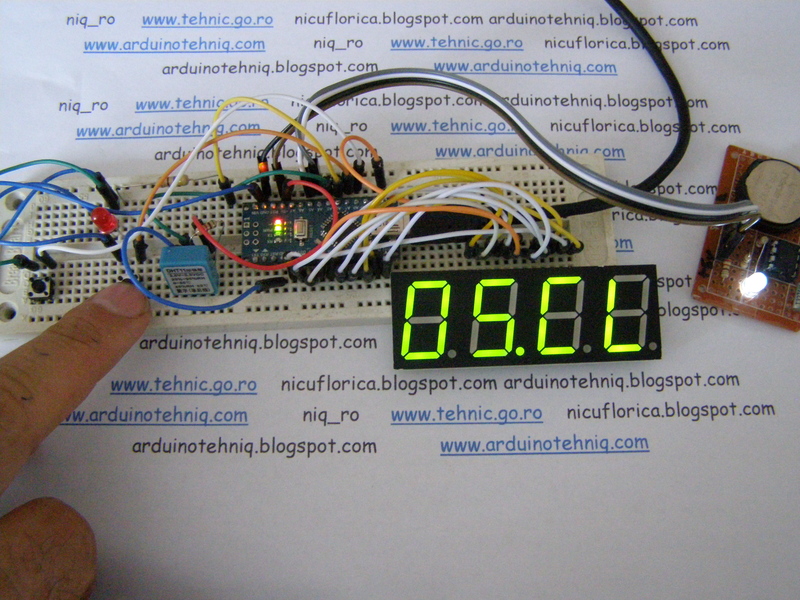 Usual, on display is time (clock) about 5 seconds, temperature about 1 second and relative humidity in air about 1 second. 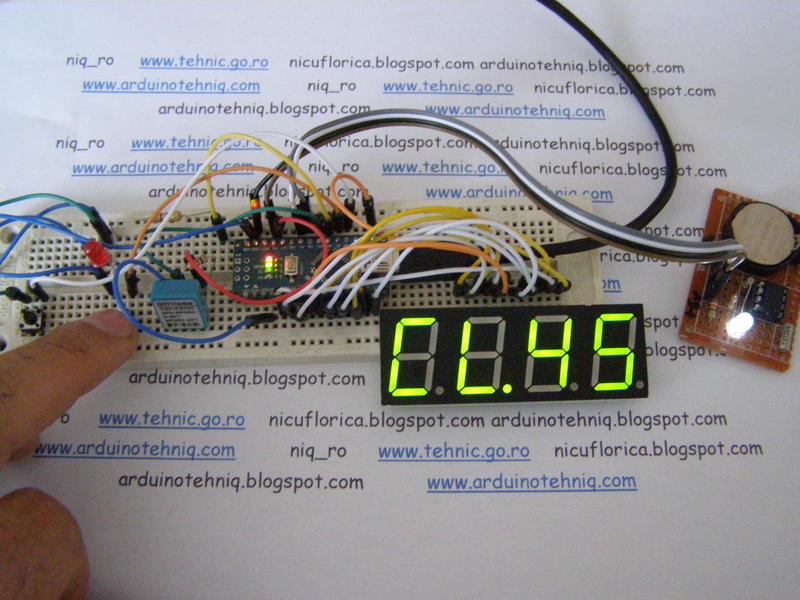 If push shortly or hold down the “+”button value fro hour increase (after 23 is reset at 0). 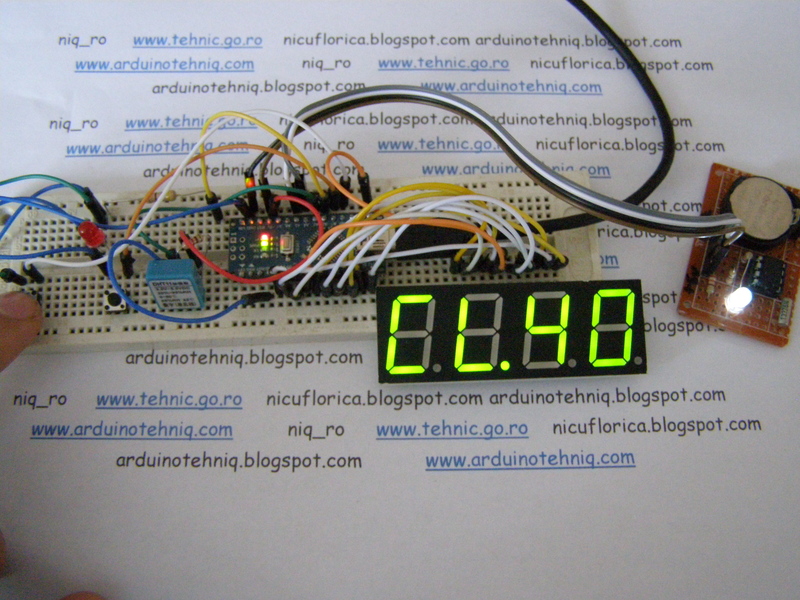 If push shortly or hold down the “+”button value fot minute increase (after 59 is reset at 0). 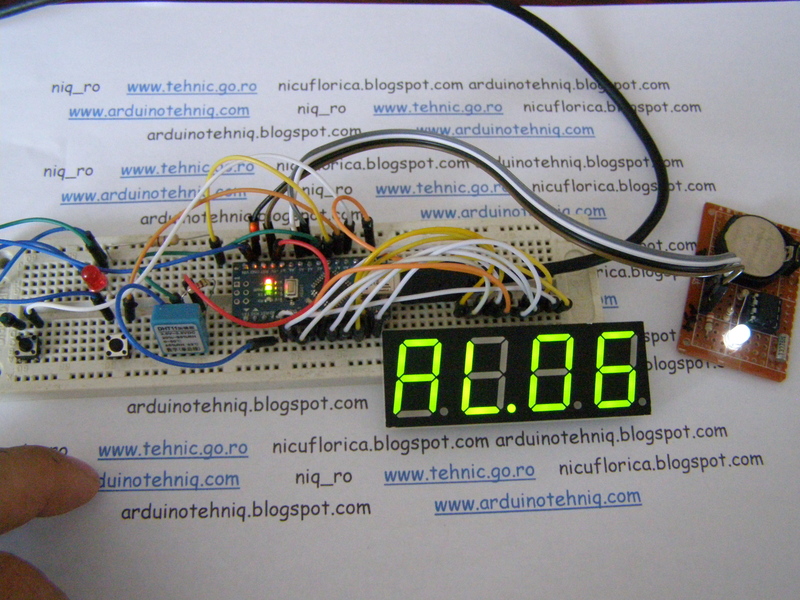 If alarm is deactivate (OFF = AL.oF) and push ADJUST button, system enter in usual mode, as clock with temperature and humidity indicator. 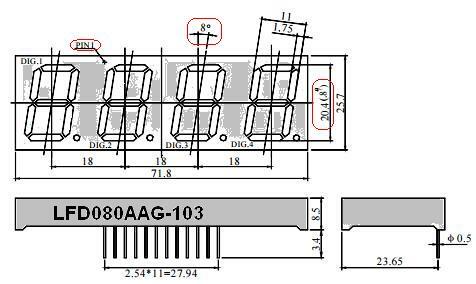 and value chen be change with “+” button (push or hold down). 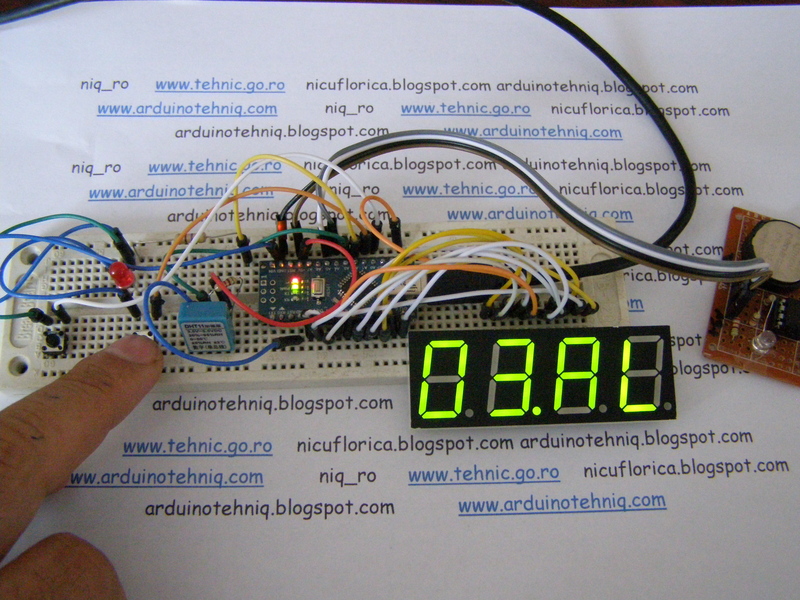 If push “+” button value for minutes increase and when push ADJUST button system enter in clock mode. 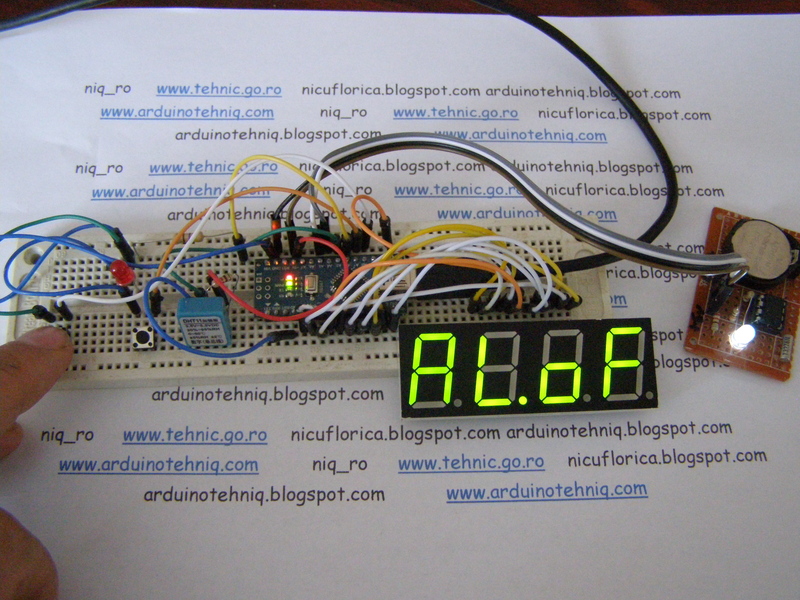 In right side decimal point is on when alarm is activate and off when alarm is deactivate. 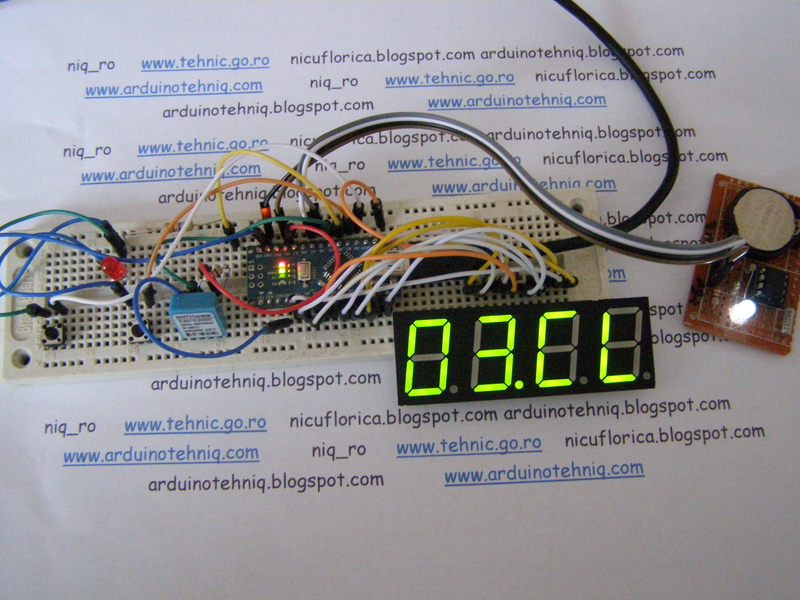 When is time alarm, active buzzer (red led in my case) is intermittence active. 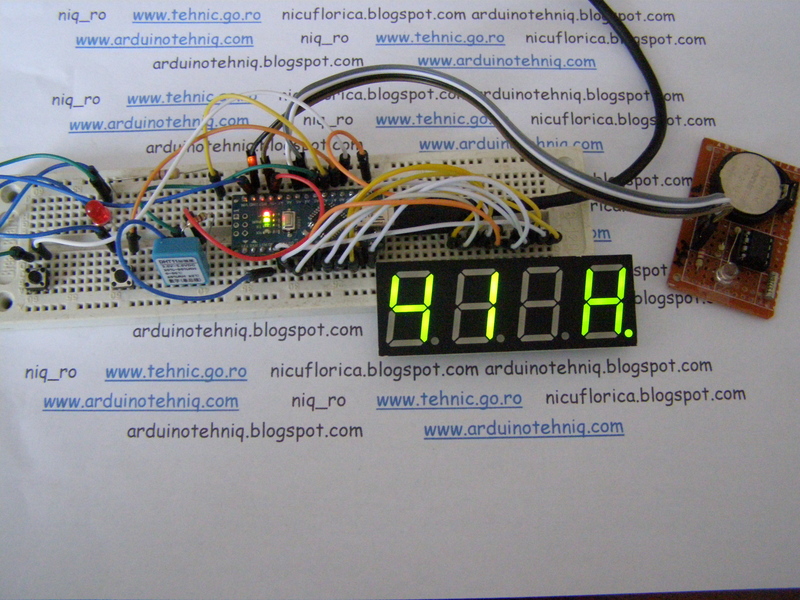 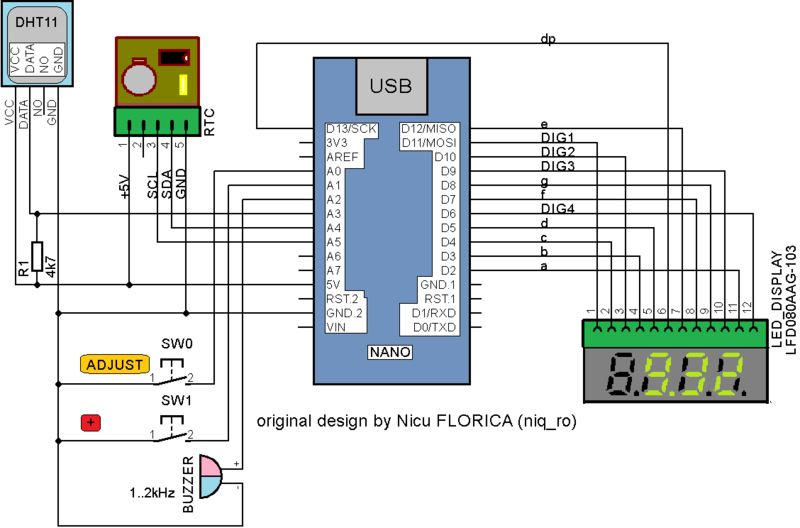 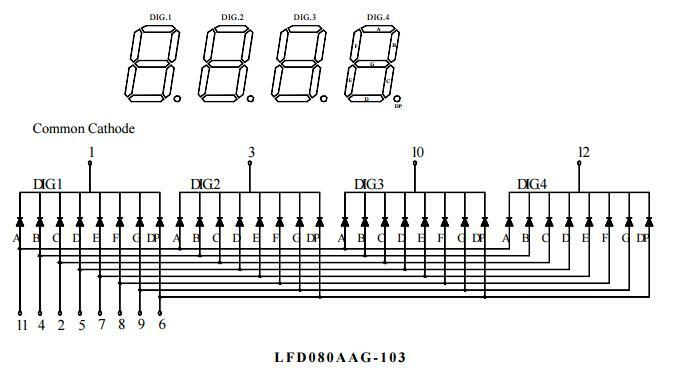 For made this clock you must use multiplexedclock4_3.ino sketch. 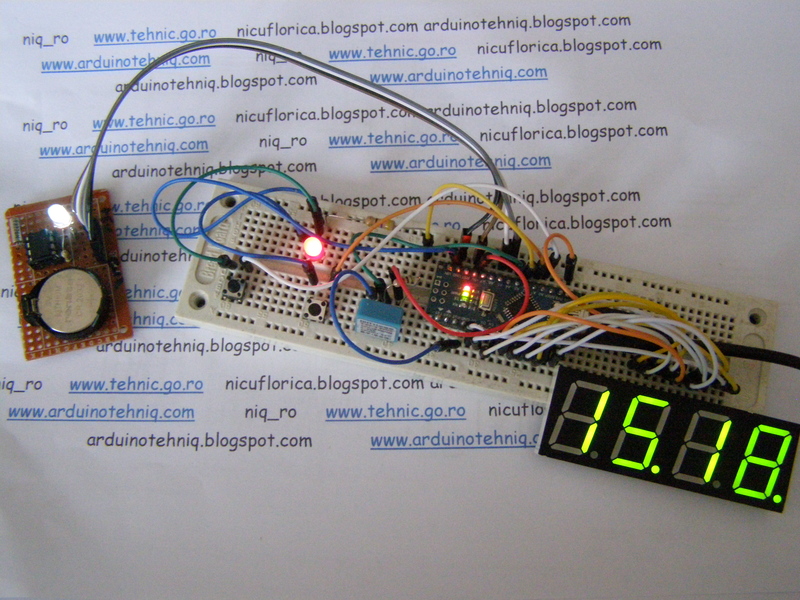 PS: You need to use library for RTC named RTClib from github.com/adafruit/RTClib and for DHT sensor (DHT11, DHT22/AM230) from github.com/adafruit/DHT-sensor-library Also, you can download this libraries from https://github.com/tehniq3/used_library !